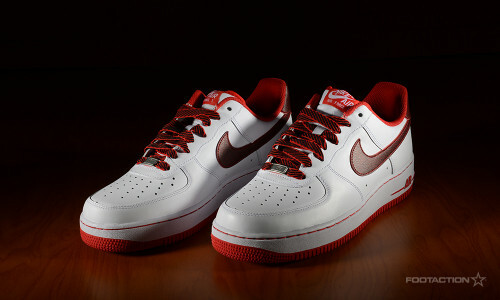 The Nike Air Force 1 Low arrives in a unique and dominantly white colorway with crucial red accents. The upper of the sneaker is white, with pops of red placed on the Swoosh and the sole. One can never truly go wrong rocking clean Air Force 1′s. What would you wear these with? Print article This entry was posted by hhcblog on February 10, 2014 at 5:35 am, and is filed under Footwear. Follow any responses to this post through RSS 2.0. You can leave a response or trackback from your own site.